It is not a secret that scientists have searched water on Mars for years, and only they found very little, either in the form of drops on the surface or frozen as ice. But an unbelievable new discovery indicates that it is found a huge lake of liquid water on Mars. The discovery was reported in the journal Science, and researchers led by Dr Roberto Orosei from the National Institute of Astrophysics (INAF) in Rome say they have found a vast reservoir of water beneath the south pole of Mars. 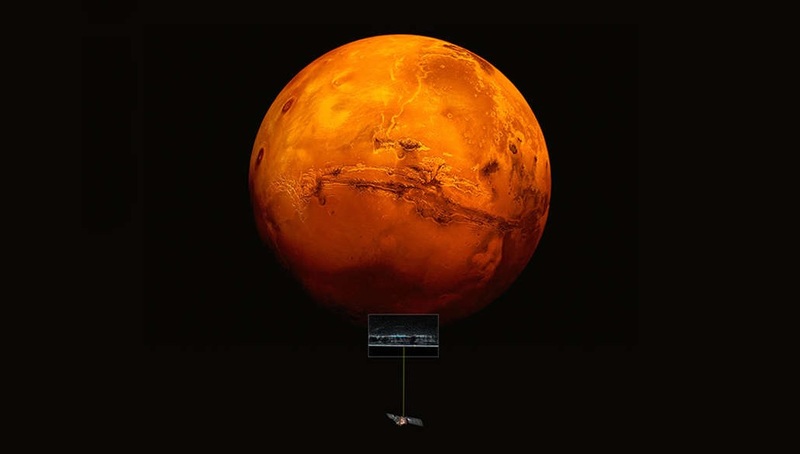 The large lake of water on Mars was found by a radar instrument, the Mars Advanced Radar for Subsurface and Ionosphere Sounding (MARSIS) instrument, on board ESA’s Mars Express spacecraft. “The data showed that 1.5 kilometers (0.9 miles) below the surface, in a region called Planum Australe, there was a source of liquid water spanning about 20 kilometers (12 miles) across. The team do not know how deep this reservoir of water is, but note it is at least deeper than a few tens of centimeters, and possibly more”, mentions IFLScience. Under this region on Mars, however, it’s thought the temperatures drop to about -68°C (-90°F).